So I won’t generally have sports stars or even celebrities as the Hero of the Week, but I happily make an exception this time. 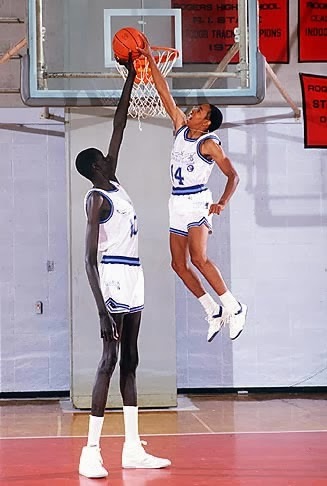 Manute Bol was a basketball player (in my opinion not a very big deal). At 7’7” he was tied as the tallest person ever to play in the NBA, which is pretty cool, but still not hero-worthy. 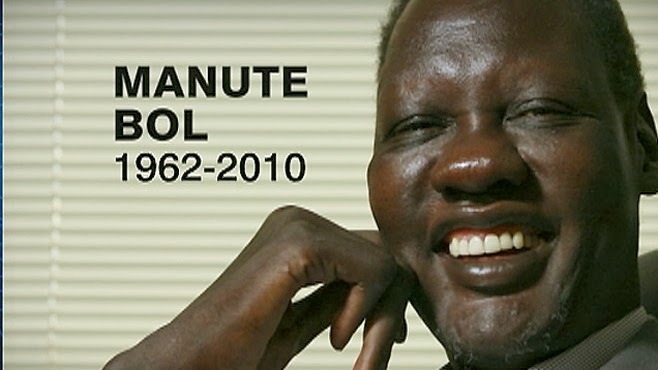 What makes this man a hero is what he did for the the people from Sudan, Manute's home. He donated over 3.5 million dollars (all the money he made) to build hospitals and help refugees. He didn’t stop there. After he was done playing basketball, he attended and performed at many charity events to protect people that had nothing. He once boxed William “the Refrigerator” Perry (and won) and even joined a hockey team (though he couldn't ice skate) to promote his cause. He was a huge, goofy, happy, and most of all giving man that dedicated his life to helping others. So I'm proud to name him my first Hero of the Week.